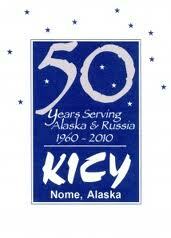 When propagation favours signals from Alaska, KICY in Nome is a quite common guest on 850 KHz. I’ve heard the station a couple of times, when KOA Denver CO which dominates the frequency hasn’t been present. It’s easy to distinguish KICY from KOA. While KOA is running a typical news-format, KICY is easily identified due to their religious programming in english and russian. 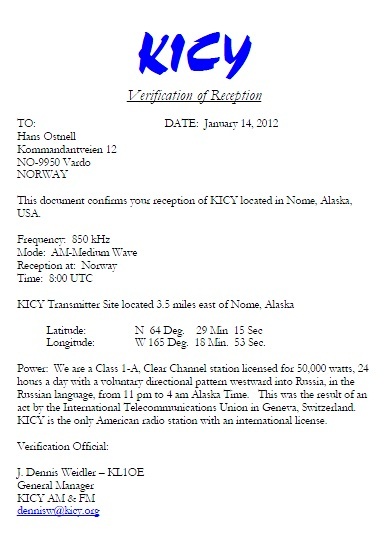 KICY is a 50 KW clear channel, running a westward directional pattern into mosteastern Russia and Siberia. 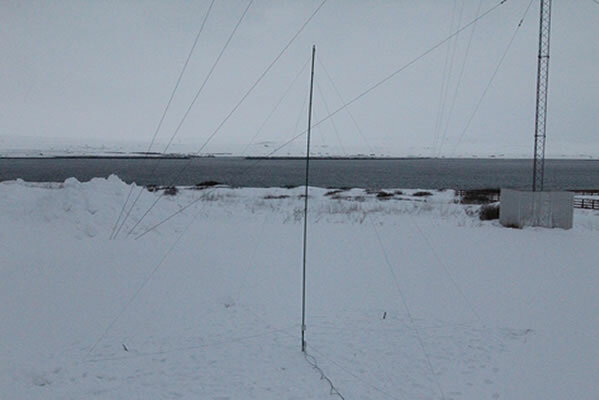 January 14, I received KICY with quite good signals around 08:00 UTC. I managed to record their station ID, both in english and russian and e-mailed the reception report and audio clip to KICY’s General Manager, Dennis Weidler. Got the QSL via e-mail yesterday evening. 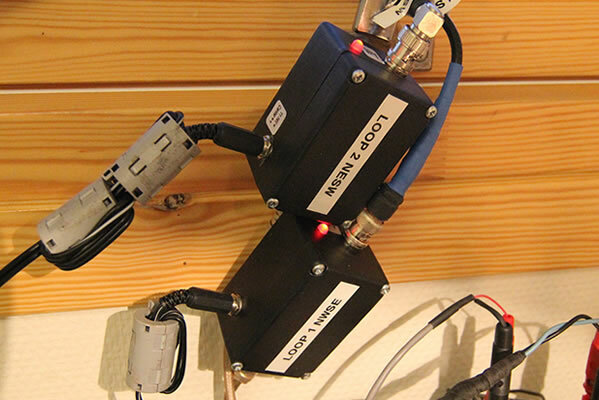 Yet an example of what can be heard up here with simple equipment and modest antennas! The audio file of KICY-850 is found here. Note the ID in russian, after the ID in english. I have been inactive the last week, and not been listening at all, due to very windy weather conditions just after the last weekend. The storm made spaghetti of my BOG’s at work and my HDLA’s at home, so I decided to usemost of my spare time last week to repair the HDLA’s and re-locate them to my listening post at work. I have winded up the BOG’s and put them in the trunk of the car, so they are now ready for some portable action. Anyway, I assembled my HDLA’s two days ago and they seem to work fine. Unfortunately, the sun hasn’t been very coorporative this weekend. Conditions is currently useless and there is no transpolar propagation at all on the MW band. This morning proton levels went up and down, and up again. The MW-band was totally dead, except for the semi-local russian stations. Was listening on shortwave for a while, but there was absolutely nothing of interest. Well, maybe it was Radio Educación in Mexico playing canciones on 6184,9 KHz, but it was very weak and unstable. Besides that, nothing. And auroral flutter on almost every signal that was heard. So, today I will relax and do some audio file analyzes. It will take a few days for the MW-band to recover, and hopefully better conditions will be present later this week and next weekend. NB: I have updated the antenna page on this site. There you will find a more detailed description of my HDLA-system. Yes! You were listening to KNOM AM. Kelly Brabec is our Program Director and hers was the voice that you recorded for the sound clip you sent in your email. We send all our best and thank you again for your wonderful email. I guess we can amend our KNOM slogan to “Yours For Western Alaska and Norway”. The audio clip of my reception of KNOM is found here. Today I’ve been writing a bunch of reception reports, and as usual I send my reports via e-mail to save paper and rainforest, and not least to save time for the recepients of my reports. A “snailmail” report always generates more work in the receiving end, which I beleive affects the QSL-rate negatively. Anyhow, my e-mail reports resulted in two very fast replies from KTCN Twin Cities MN-1130 and CKJH Melfort SK-750. This is Nick Ehrenberg writing, and I am the Digital News Director for Twin Cities News Talk (KTCN) in Minneapolis, Minnesota. I am writing to confirm that your audio clip contains content from our station, currently transmitting at 1130 KHz and broadcasting at 50,000 watts during the day and 25,000 watts at night. This frequency is one of the oldest in the Minneapolis/St. Paul market, and has broadcast various radio formats since its founding in 1923. Currently, the station broadcasts news and political talk programming, and also partners with an FM sports talk station (KFXN-FM 100.3) for coverage of local Minnesota sports teams. 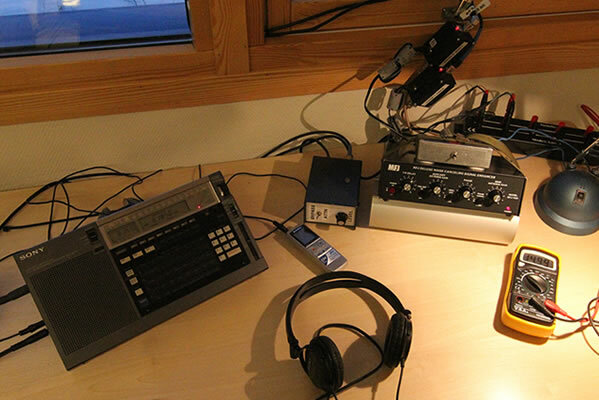 The audioclip of my reception of KTCN is found here. Good to hear from you! I checked out the audio file you sent us, and it is indeed from our station CKJH. Glad you were able to pick it up and let us know! The audioclip of my reception of CKJH is found here. I had ambitious plans to get up early today, but as usual I managed to oversleep. Anyway, I got up at 0815 UTC and there was plenty of time left to dig after DX, before the European signals got annoying and the noise level started to rise. Alaska was not so dominating as yesterday and the day before, but still I managed to get a couple of new calls in the log. Nothing really fancy, though, but new ones are always new ones. CFAC Calgary AB-960, CHAK Inuvik NT-860, CKJH Melfort SK-750, CHQR Calgary AB-770, KSRM Soldotna AK-920, KYES Rockville MN-1180, CJWW Saskatoon SK-600 and CFWH Whitehorse YT-570 were all new additions to my “Vardø-log”. Conditions today was very much similar to yesterday’s. Basicly the same bunch of AK-stations as yesterday plus a few new ones in the log: KZPA-900 in parallell with KSKO-870, KBYR-700 and KRSA-580 with religious music and programming. Later in the afternoon, CKUA Edmonton AB took over 580 KHz with a classic music show. The evening showed a little better than average conditions into the Far East. Japanese stations, such as JOLF-1242, JOER-1350 and JOIF-1413 was heard. On 1350 KHz, DZXQ was heard briefly with talks in Pilipino, and on 1287 KHz I had a so far unid Thai station. On 711 KHz, Voice of Kuanghua was booming for a while. There was also some interesting asian stations on 1179 KHz, but I haven’t yet analyzed the recording. Now it’s time for bed. It may be rewarding to get up early tomorrow! Was listening for about an hour between 15:00 and 16:00 UTC today, and KBRW-680 was superb from time to time. It definetely looked promising, but within 30 minutes or so, the band went very noisy. A brief look at the realtime propagation monitor showed that the band is moving towards unsettled to active conditions. The proton density is also moving up, so it’s not strange that the band is noisy. This far north the band always get’s noisy during high proton activity and transpolar DX is more or less impossible. So what to do then? Well, I have plenty of audioclips from November that’s not analyzed yet, so I guess that I will have a lot of time consuming work to do this weekend if conditions doesn’t improve. If conditions looks promising next weekend, I’m planning to try a new indoor QTH in a more remote location. I’ll keep you posted!